Richard Dean Stauffer, 87, Holton, died Thursday, April 30, 2015, at Midland Hospice House in Topeka. 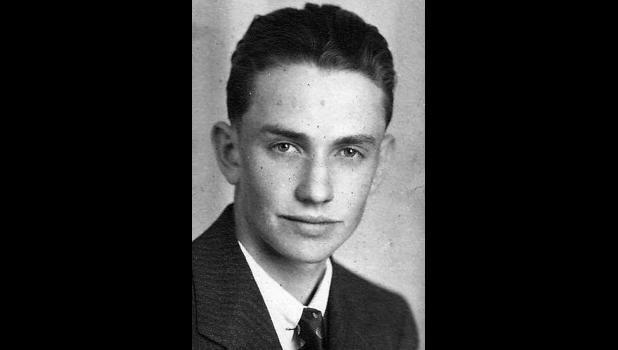 He was born Aug. 15, 1927, in Circleville, the son of William P. and Mary Eastbourne Stauffer. He graduated from Circleville High School in 1945. Mr. Stauffer worked for the Kan­sas Department of Transportation for 40 years. He was a member of Larkinburg Christian Church. He married Emma J. McQueen on Oct. 28, 1951, in Soldier. She died June 2, 2008. He was also pre­ceded in death by a brother, Leland Stauffer; a son, Robert Dean Stauffer; and his parents. Survivors include four daughters, Debbi Wrobliske, Cypress, Texas, Melissa Gibeson, Topeka, Roberta Stauffer, Topeka, and Patti Peter­son and husband Jay, Manhattan; eight grandchildren; and 12 great-grandchildren. Funeral services will be held at 10 a.m. Tuesday at Mercer Funeral Home in Holton. Burial will follow in Holton Cemetery. Family will greet friends from 7 p.m. to 8 p.m. today at the funeral home. Memorial contributions may be made to Larkinburg Christian Church or the Alzheimer’s Asso­ciation, sent in care of Mercer Fu­neral Home, P.O. Box 270, Holton, KS 66436.